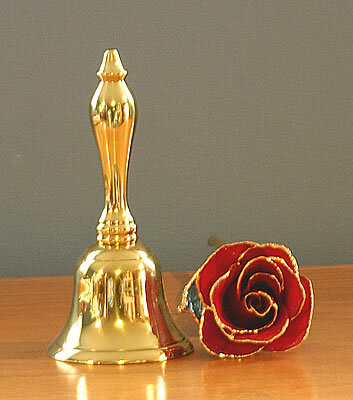 If you would like your own little shower of bell ringing this elegant bell is just the ticket. It is perfect for a wedding or as a wedding gift. The brass is lacquered to keep it shining. Six inches high and 3" in diameter of solid brass, a sure attention getter. Weight: 13 ounces. 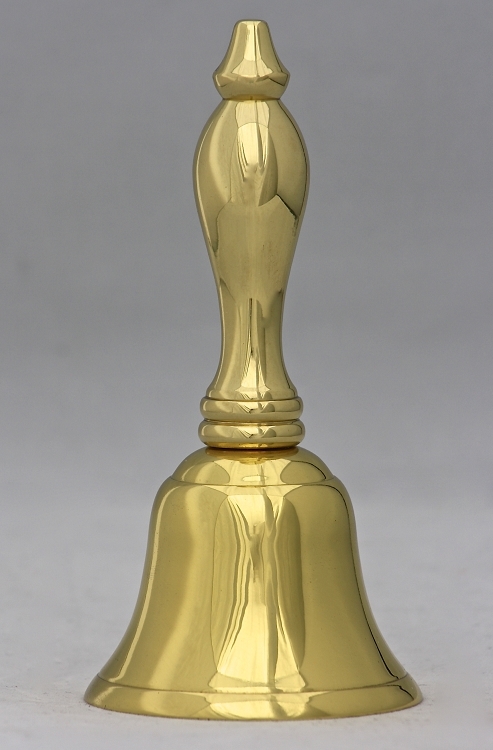 Beautiful and elegant, I love this brass bell and I plan on using it on my dinner table. I am also wanting to order the silver one as soon as it is restocked.